According to study, “Country Profile: Spirits in the Philippines” some of the major companies that are currently working in the spirits in the Philippines are LVMH Moet Hennessy – Louis Vuitton, Ginebra San Miguel Inc., Bodegas Williams & Humbert, Suntory Holdings Ld., Emperador Distillers Inc., Canterbury, Robert A Merry & Co Ltd, Bacardi Limited, Shaker Srl, Pernod Ricard SA, Destileria Limtuaco & Company Inc., Tanduay Distillers Inc., Grupo Cuervo, Patrón Spirits International Ag, Tequilas Del Señor, S.A De C.V., Brown-Forman Corporation, Asahi Group, Spi Group, Bardinet S.A.S, Clan Murray Ltd, The Benriach Distillery Company Limited. Spirit is an alcoholic beverage that is produced by distillation of fruits, grains and vegetables, which undergo alcoholic fermentation. The Philippines spirits sector is led by the brandy category in both value and volume terms. Spirits are classified into many terms such as brandy, gin & genever, liqueurs, rum, specialty spirits, tequila & mezcal, vodka, and whiskey. The Philippines is the world’s biggest market for Gin (43%). Gin’s quality ranges from premium to dirt-cheap rotgut variants known as “gin bulag”. The sale of spirits is permitted in dedicated retail stores and licensed outlet such as bars, restaurants and night clubs. All hotels serving alcoholic beverages in their facilities are required to have a valid liquor license issued by the local police authorities. It is only issued to those who are at least 21 years of age. Additionally, the Philippines government has started to impose new taxes such as excise tax on the spirits such as beer, liquor, wine, and alcohol products. An additional excise tax of PHP22.50 for distilled spirits, PHP304.16 for sparkling wines or champagnes, PHP36.50 for still & carbonated wines and PHP24.44 for fermented liquors is levied on all alcoholic beverages sold in country. In Philippines, there are some major types of alcoholic drinks bought from international sources. Cost of these drinks are US$41.7 million for brandy, US $27.9 million for non-sparkling wine, US $18 million for whiskey, US $6.5 million for beer, US $3.1 million for rum, US $3.7 million for liqueurs, US $2.9 million for sparkling wine, US $1.9 million for vodka and US $1.7 million for gin. There are many benefits of the beer such as reduce the risk of diabetes, relieve stress, high in fiber, reduce the risk of kidney stones, makes look youthful and reduce the risk of heart disease & cancer etc. Trade of spirits in country is allowed for designated distributors, hypermarkets & supermarkets, department stores, convenience stores, drugstores & pharmacies, food & drinks specialists, warehouse clubs, dollar stores, variety store & general merchandise retailers, vending machines, e-retailers, and retailers. Trade of spirits in country can be divided into two broad segments, which are; on-trade and off-trade channels. On-trade is used to refer to consumption on the premises where alcohol is bought like hotels, bars, night clubs etc. The growth of on-trade is driven by encouraging the cocktail culture in country. Off-trade is used to refer to consumption off/or away from the retail store. Off-site consumption is limited, due to tight government regulation and high taxation. The spirit sector can be divided on the basis of packaging material such as glass, paper & board, rigid plastics, flexible packaging and rigid metals etc. Glass is the most commonly used package material. Moreover pack types are bottle, bag-in-box, carton-liquid, stand up pouch and can etc. There are many brands available for spirits such as Tuba, Lambanog, Basi, Laksoy, Agkud and Tapuy. Filipino Lambanog brand is a true Filipino spirit in country. Some popular brandy brands are Genoroso, Barcelona and Gran matador. Cossack vodka and Antonov vodka are local vodka brands in country. Boracay, Expired, Kagatanm and Calibog are some brands of cocktails in the country. Additionally, some wine brands are Riesling, Sauvignon blanc, Pinot Gris, Chardonnay, Zinfandel, Pinot noir, Syrah and Cabernet sauvignon. In Philippines, robust economy has driven the growth of the spirit market and increased consumer spending. In 2017, Emperador was the largest brand in volume terms with a share of 39.9%. 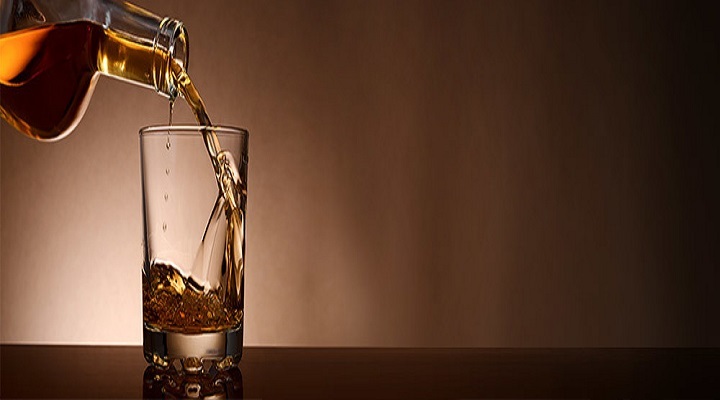 In 2018, revenue in the spirits segment amounts to US$5,152 million. The largest alcohol producer in the country is the San Miguel Brewery, which controls more than 90% of the Philippine beer market. The market is expected to grow annually by 4.8%. It is estimated that consumption of spirits will be increase by volume to reach 734 million liters in coming years. The spirit sector is expected to grow at a CAGR of 5.4% during 2017-2021 in country.